Is your arm fat making your entire figure look clumsy? Do you often think about how to lose arm fat fast? Flabby arms can ruin the look of an otherwise fitted dress and make you look saggy. Men and boys always aim for muscular arms and Slim and toned arms are the dream of every girl. Most people have baby fat accumulated in their arms while there are some others who gain weight in specific areas, the arms being one of them. Here are a few exercises that will guide you on how to lose arm fat fast. These exercises are simple and do not really require any particular exercise equipment. Hence they can be done anywhere and at any convenient time. These exercises can be easily done at home and are hassle free. This is one of the most common exercises that are used for reducing arm fat. Just pick up any household item to use as your weight. There are so many things that can serve this purpose that you actually don’t need dumbbells. A 2 liters water bottle is a great way to lose arm fat fast at home. Hold the bottle in your hands and lift it above the head, while keeping your arms straight. If possible, take your hands behind your back as much as you can. Keep your arms as close to your ears as you can. If you want toned arms, then push ups are one of the best ways to help you. Push ups not only help you to shed the extra kilos off your arms, they also help strengthen the muscles. One needs to master the balancing act in order to do push ups successfully. One can perfect it only after practice. Most people find it difficult at first, but with time, they are able to do it. One should refrain from balancing on the toes and hands. It is advised that you balance on your knees and hands. You can start with a set of 6-10 push ups at a time and as your stamina improves, you can increase the number of push ups. Make sure that you don’t over-exert yourself. In order to lose arm fat, you can exercise your arms in circular motion. Exercising the arms in circular motion helps you to burn a lot of calories and make your arms look tones and lean. This is the best way to lose arm fat fast. This also helps to strengthen your shoulders and works on biceps and triceps. Make sure that you exercise every day for at least 45 minutes. Skipping rope also helps to remove excess fat from arms as well as various other parts of the body, such as the legs and shoulders. You can vary your speed and the number of times you skip. The more you skip, the faster you lose arm fat.Most women would have done this as an exercise or played with a skipping rope during their childhood. This traditional game is really helpful in toning and shaping the arms. Skipping with a rope involves continuous circular motion of the arms and hence is very helpful. Apart from your arms, it also helps in trimming down your belly , thigh and hips. This fun aerobics exercise helps to lose arm fat really fast. Considered as the best exercise to lose weight and a great cardio workout, it makes your body look like a scissors. You need to open your arms and legs just like a scissors. Stand straight and lift your arms to the height of your shoulders in front. Now stretch the arms to one side and bring them to the front. Your right hand should overlap the left hand and then change vice versa. Do this exercise at least ten times daily and repeat thrice a day. In this exercise you need to lift your leg and the opposite arm and then change. While stretching your limbs, you must try to hold your body in this position for some time before resting your body. This exercise is really helpful in losing arm fat. It has been included in the ectomorph workout plans since it helps to promote better muscle growth. It helps to tone the arms, strengthen the legs and arms and is also very beneficial for the spine. It helps to enhance your posture and balance. This is a very easy exercise that can help to lose arm fat. This is not a very high intensity exercise and requires very slow yet controlled movement of the arms. The major muscles of the arms and shoulders are completely engaged in this exercise. To begin, you need to stand with your feet placed about one foot apart. Now raise your arms to shoulder height to the side and keep your fingers together. Now face your palms towards the floor and now rotate the shoulders , 10 times and then rotate your arms and palms 10 times. For best results, rotate each arm at least 20-30 times at a stretch. By and far, exercise cannot be substituted by any other method to lose arm fat. However, you can make certain minor changes in your daily routine, in order to avoid gaining arm fat. These include tracking your calories every day and avoiding unnecessary snacking between meals. Restrict yourself to a minimum of calories so that you don’t gain excess fat and/or muscle. Do not indulge in binge eating and avoid missing a meal. Get rid of the ugly fat such as sugar candies, lollies, fried and junk foods and refined sugar. Eat a healthy and balanced diet. These simple exercises have now answered your question of ,”how to lose arm fat really fast”? The biggest advantage of these exercises is that you can do them anytime anywhere! Can you please share the information on portion size…as in can you convert all the bowl measurements to measuring cup…it will very convenient! I am Debalina.I need to loss my weight.I am 25 years old with 5’3″hight and my weight is 69kgs.I need to reduce my weight minimum 9kgs.pls help me by suggesting diet tips and exercise tips..
Hi,i am divya want lose 10 kg weight .my height is 5.1 and weight 75, age 22,married and befor 1yr gave brith to baby by C-sections deliver from thn my weight had increased a lot.pls help to loose weight fast. N nw i am using no fat sachets befor 40min of dinner is good to hav . ?n am not on bf nw. sorry i m not in favor of having any thing artificial for weight loiss. rather walking or working out for 45 mins along with healthy 1200 calorie diet from dietburrp will help you in losing 3-4 kg weight in a month . Gm diets , or any diets will help you in losing over all weight and over all fat . area specific fat loss requires you to work out on that part of body , the muscles in ypour arms need to work out to be able to tone up . I wanna loose my arm muscles, my body is slim but my arm is fat according to my body, sleeveless dresses don’t suit me, tell me some exercises for these purposes n at what time exercises should be done?? I find your website really informative. It is crisp with relevant contents and definitely not too much promotional. That is the best thing I liked about your site. Anyhow, let me get to my query. I am 23 working female, 5 ‘2″ /53 Kg. I look normal, not too fat nor too thin. (Work as Business Consultant – Timings : from 9 am to 6 pm.) But however, since last year I started having tummy and arm fat comparing to my usual figure. I have started working out for 90 minutes five days a week (Either play 60 min Badminton or Walk 5-7 Kms combined with 30 minutes of Aerobics). I am not intending to lose much of weight, but I wish to gain my previous figure back. I drink about 2-3 liters of water per day. Would I be able to reduce the stubborn belly and arm fat? My periods are regular except for the cramps on the starting first 2 hours. Do I need to go for more vigorous work out to lose the belly fat? Or is there a need to join a Gym? If this diet plan works well for my requirement, how long do I have to continue to see some visible results? Or do you have better diet plan that would suit my need? Please note that I live in Dubai and it is currently very hot here. If that has to do anything with your evaluation. Thanks a lot for your kind words of appreciation. your weight is correct. its just that the body muscles are losing the tones due to your desk job. so the exercises you have mentioned will help you in getting back the tone. you dont need to join any gym. just remember to do some planks and crunches early in the morning to target ypour belly fat. badminton will take care of your arm fat. the food alterations your have mentioned are all ok . you can follow the diet for a month . because you dont need any weight loss, this can be continued for longer as well. but exercises for atleast 3-4 monts in the same pattern so that your entire body will get toned. after your desirable shape is achieved , you can reduce the timing and workout for only 30 mins a day to maintain at that level. use the above mentioned tips. 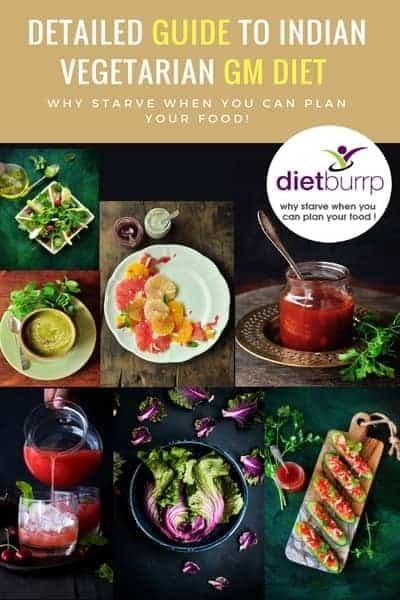 Or You can try following the diet plan mentioned above in the article.- https://www.dietburrp.com/indian-diet-plan-for-weight-loss/ this is a general 1200 calorie diet plan and has helped many in losing 4-5 kgs a month. it may be of help to you as well. i m 26 yrs my hght is 5.1 n n wght is 70 kgs hv 1.5 yrs bby frm normal delivery bt aftr delivry i gained alot n hd thyroid too( TSH n T4 ) I have to reduce atlst 20 kgs within 3 mnths i hv vryy flabby arms too n cnt wear sleevless plzzz help..
do walking / jogging / trekking / swimming / cycling or elipticle work out , this will help you in losing from the cncerned areas. My name is Priyanka and my age is 28 aand height is 5’3 my weight is 83 n i want to lose it to 63 please suggest me some diet n some exercise tips as well. 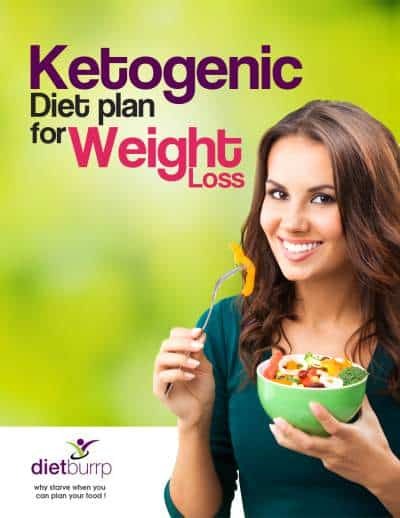 You can try following the diet plan mentioned above in the article.- https://www.dietburrp.com/indian-diet-plan-for-weight-loss/ this is a general 1200 calorie diet plan and has helped many. it may be of help to you as well. I want to lose my arm fat without toning what do I DO? what do you mean by without toning ? Hi I am Sana i am 41 years old height 5″3 . My weight is 75 kg i want to lose around 15 to 20 kg. I have 3 kids too all cesareans. Plz suggest me any good diet plan. my weight is 80Kg and i justvwant to lose atlest 10KG in one month. Hi I am Sunita. I am 24 year old with 5’2″ height and 69 kg weight. I have loose 17 kg of weight please suggest me diet plan and exercises. Hi I am Sunita. I am 24 year old with 5’2″ height and 69 kg weight. I have to loose 17 kg of weight please suggest me diet plan and exercises. HI IAM SHAKSHI MY WEIGHT IS 60 WITH 150 CM..I HAVE TO REDUCE NEARLY 15 KGS OF MY WEIGHT….AND MY QUESTION IS SHALL I EAT OATS AT MORNING? AND IN MID MORNING SHALL I DRINK GINGER WATER? hii I am 42 Yrs.lady my weight is 70kg.hight 5.2″ Please send me diet plan. My marriage ia fixed for july. I want to shed my weight witin dat time by atleast 15kg. Plz help me. You are my only hope now. Hi, I am 27 years old with the weight of 65.5 kg, 158 cm height. My main problem with weight loss is flabby arms. I’m effected with this problem since teen. And I found this is not from my genetic but since teen, I tried lots of method to lose weight. Especially, I love to play skipping rope for lose weight. But, I always do on and off which I think is the main cause for my flabby arms. So, my first question here, is there any side effects we need to face if we suddenly stop practicing certain exercise. Ex :- If I practice exercise to lose Arm fat, then I stopped for a while, do this will result in gain more fats then the earlier time? My second question is, do calories control can help me to lose arm fats? I am Called Priya. My height is 5ft 2 inches and my weight is stagnant between 52 to 53 kgs. I had maintained the wight of 50 kg for past one year and now i have put on 2 to 3 kgs. inspite of all sorts of diet i am unable to shed those extra 2 to 3 kgs.On saturdays in dnt feel like cooking so once a week i visit restaurants where i try to eat salads grilled food etc.I would also like to state that i am e person who doesn’t or take very little breakfast.Mam can u suggest some healty tip thorugh which can help me reduce my weight and also not effect my health. Will this exercise even gain muscles and make arms look bulky? https://www.dietburrp.com/diet-services/ check this . and write to us at care@dietburrp.com to take it ahead .